My kids are little now (1 and 3 years old) but they are growing so fast. I wanted to document it on an adorable ruler growth chart. 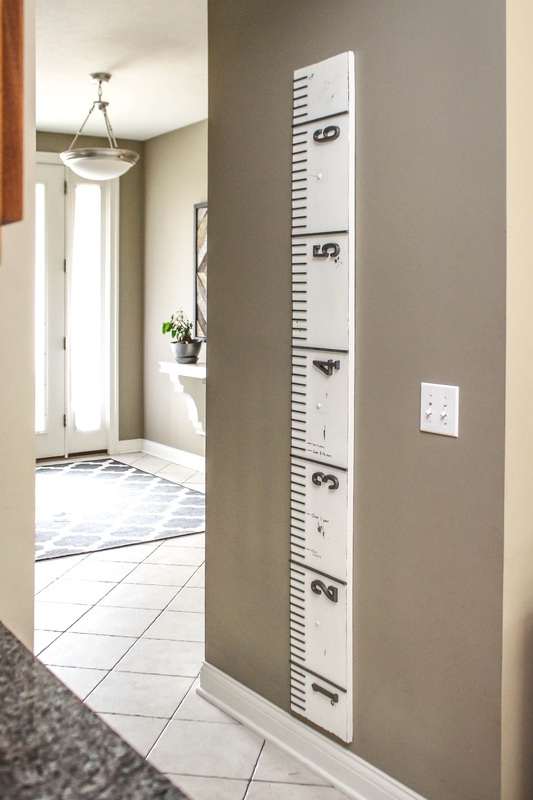 There are a lot of ruler growth chart DIY tutorials on Pinterest, which is where I first got the idea. Some use sharpie marker for the number and lines, some use paint, and some use vinyl decals. 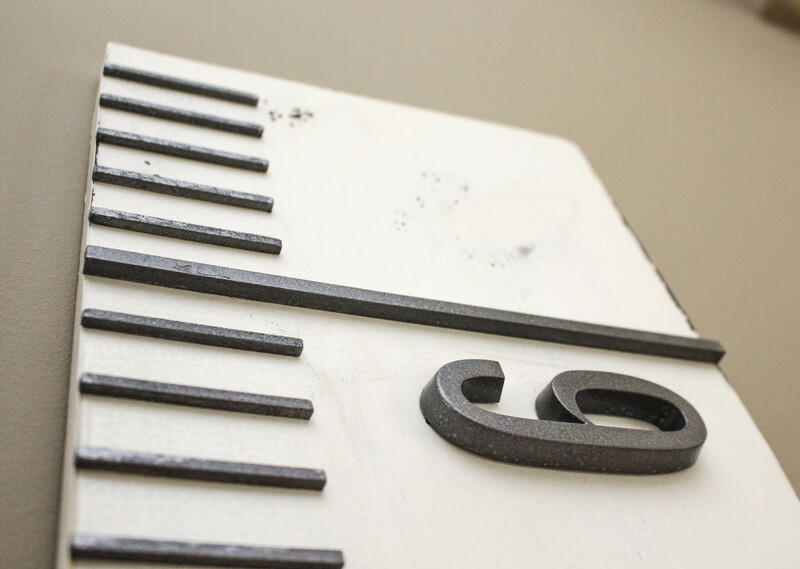 I decided to take it up a notch and make it 3D with metal house numbers you can buy at your hardware store, and wood sticks you can buy at a craft store. First, I painted my wood black. Next, I painted a couple white top coats. That way, when I distressed the wood with sandpaper it showed a little of the black layer through so there was a nice contrast and looked like there were years and layers of paint. I cut lots of craft wood sticks down to the correct size, then I spray painted my craft wood sticks and metal house numbers the same color. It was just a matter of measuring, gluing and clamping everything down after that! It did take a while to glue and clamp because I only had a limited number of clamps. I used a damp q-tip to remove the excess glue before it dried. I used anchors and screws to attach to the wall. Now I measure the boys every 6 months. It is amazing how fast they grow! My youngest grew 4 inches between 6 months old and 1 year. Insane!